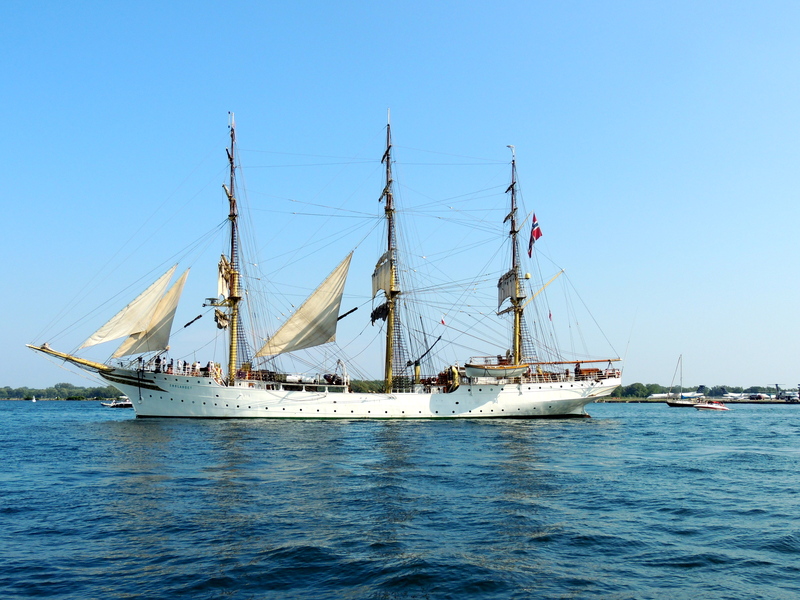 The S.S. Sørlandet, Toronto Harbour. I remember school trips consisting mainly of visits to a local library or museum. When my daughter was about 12 years old, her school class went to Mexico for a week. Now my granddaughter is taking off for 9 months aboard a three masted sailing ship built in 1927 and is crossing the Atlantic Ocean 3 times whilst completing her grade 11 schooling. She and 59 other kids, grade 11 to collegiate freshmen, will have a chef , a professional crew of 12 and a teaching staff of 10. 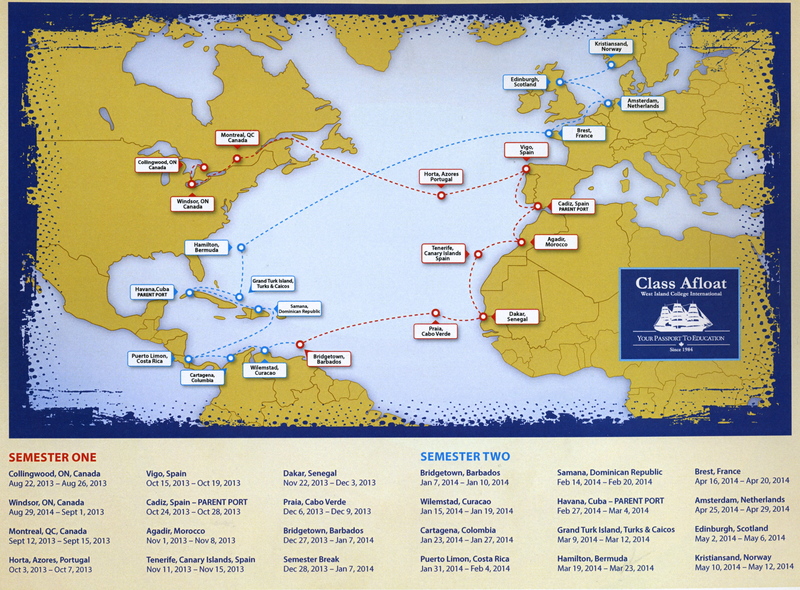 This adventure has been managed by Class Afloat, a Canadian school offering fully accredited education to high school and 1st year university students since 1984. The ship, pictured above, was built in Norway. For those interested in nautical minutiae, the S.S. SØRLANDET’s length is 64 m, its beam 9 m, its draft 4.5 m and its mast 30.5 m – there are three masts so I don’t know what that means. Admittedly a bit concerned about our granddaughter’s safety, my wife and I visited the Tall Ships while they were docked in Toronto harbour. The map of Lucie’s voyages. We met Lucie, her father and Eden, one of her best friends and a fellow student at the Etobicoke School for the Arts who will also be taking the voyage. During the past two summers, Lucie had spent time aboard the much smaller PATHFINDER plying the Great Lakes. She loved those experiences and now she was literally counting the days until she and Eden joined other students from around the world for this great trip. They will make 3 ocean crossings and visit 23 ports in 18 countries. Lucie and Eden talked at length with veterans of last year’s voyage, including a friend working the PATHFINDER desk. The day helped to assuage our fears. This wonderfully complex and handsome ship has been plying the oceans for 86 years and still looks to be in immaculate condition. Encouraging too is its metal hull. 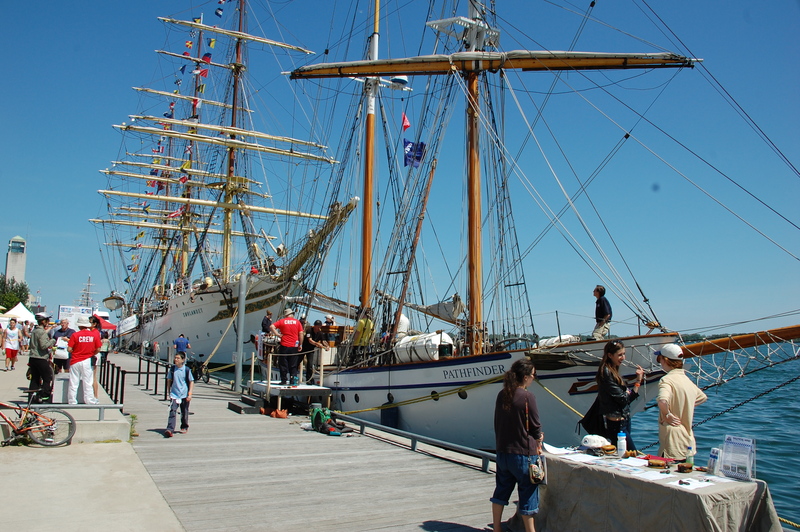 The S.S. SORLANDET and the PATHFINDER docked in Toronto at Harbour Front. NOTE: Click on images above to enlarge. 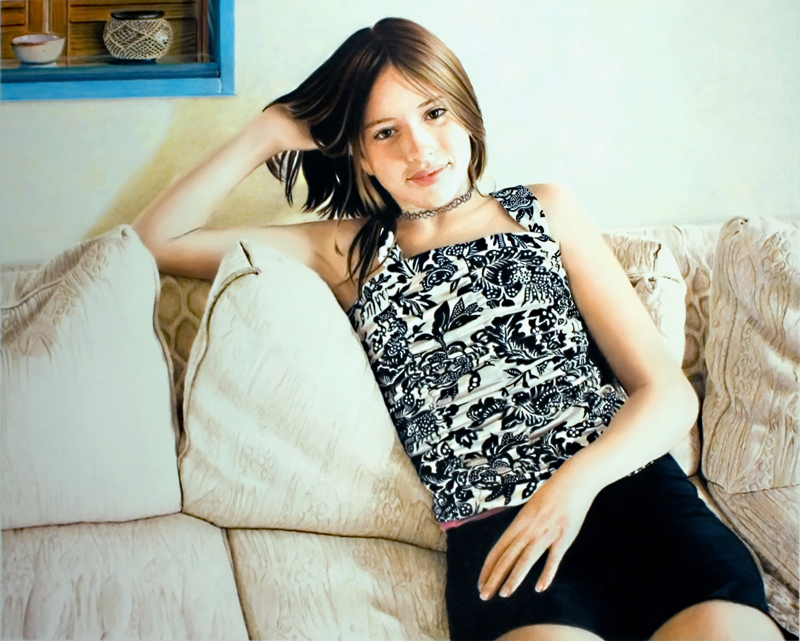 Lucie Quinlan, coloured pencil by Bonnie Sheckter, 2009. You aren’t the only one with fears believe me! Thanks for the history and the info! love the pics.